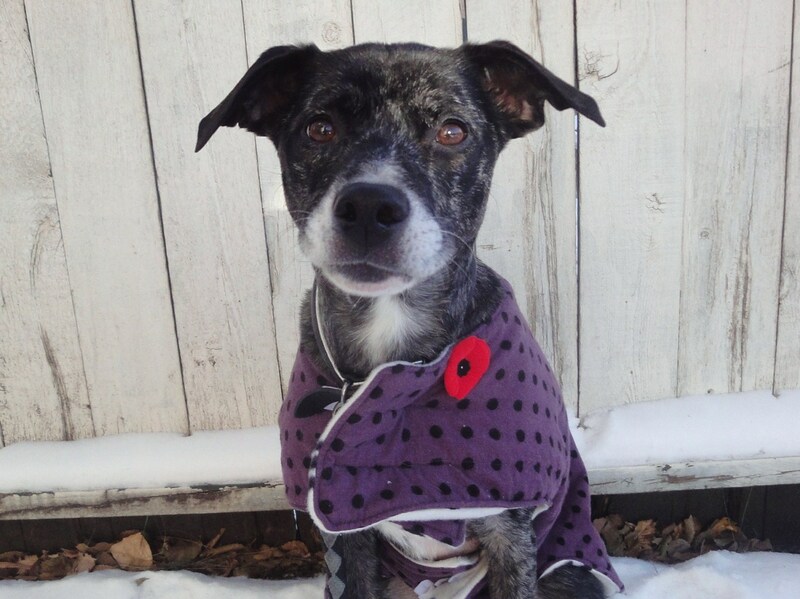 Each November 11th, Remembrance Day in Canada, I try to reflect upon the countless four-legged soldiers and heroes who sacrificed their lives to save their human comrades. 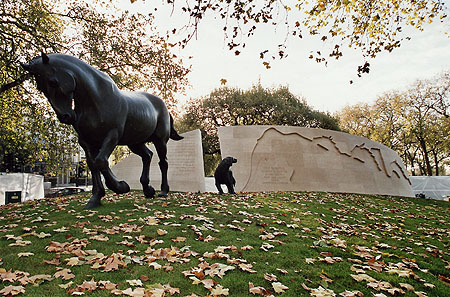 In 2012, an official Animals in War Dedication was erected in Ottawa to recognize the actions of the animals who participated in warfare throughout history. I think it is a lovely idea and if I am ever in the capital city again I will be sure to pay a visit. Since I am not able to make a pilgrimage to either site in order to pay my respects, I would like to spend some time sharing the story of a special animal who worked very hard to save the lives of the humans he served. Last year I wrote about Judy, a short-haired pointer who served in World War II, and the year before that I talked about Gander, a Newfoundland and the only Canadian canine recipient of the Dickin Medal. This year, I am going to tell you about Trakr, a German Shepherd who worked as a police dog in Halifax, Nova Scotia, a city close to my heart. Trakr was originally trained in the Czech Republic but he joined the Halifax Police Force at the young age of 14 months. His efforts with the police led to the capture of over one million dollars in contraband along with multiple criminals. After six years of hard work, Trakr retired from the force in 2001; but his duty wasn’t over yet. When the planes crashed into the World Trade Center in September that year, Trakr and his handler, James Symington, watched in horror. When Symington saw the actions of the search and rescue operations in New York on television, he knew Trakr’s exceptional abilities would be of great assistance. Suiting up, he and Trakr got in the car and drove the 15 hours to reach the city. They arrived the morning of September 12 and their work began immediately. Thank goodness it did. At approximately 7 am that morning, Trakr alerted his handler to signs of life under the wreckage. Firefighters searched the spot and found the very last of the 20 survivors who had been in the building when it collapsed the day before. The woman Trakr found had been buried for over 26 hours. Unfortunately, there would be no more survivors pulled from the rubble but it wasn’t due to lack of effort. Trakr spent the next two days straight searching through the destruction. On September 14th, his exhausted body gave out due to the effects of smoke inhalation and burns. He simply could not work any more and had to be treated before he could return home to Nova Scotia. In 2009, Symington had to say goodbye to his beloved friend and colleague. After suffering from a degenerative neurological disorder that some believe could have been caused by his work at Ground Zero, Trakr passed away at the age of fourteen. But not before being lauded a hero. Trakr’s life symbolizes the efforts of millions of animals throughout history who have performed similar tasks for humans without hesitation. He was only one of hundreds of search and rescue dogs who worked in New York City after September 11th. They all sacrificed their health and safety in order to save the lives of the survivors they found. None of them chose to be there on their own. No animal has volunteered for a military post or assignment of his own free will. Despite that, they face fire and death over and over again. Many of us wouldn’t be here without them. Those dogs that worked the trade center wreckage are truly heroes. And all the dogs who helped out in time of war are great heroes too. Thanks for sharing that beautiful story about Trakr, Kristine. It’s so true, they have no choice, but these dogs are amazing and seem to understand the importance of the work they do. Fantastic post today! I knew some of the story, but have never heard the name of the dog who found the last victim mentioned. It’s hard to believe that so few of the dogs who served at 9/11 are still with us. Time marches on. Thanks for sharing this beautiful story of Trakr and the memorials to those animals that have served us humans over the years! I think the “they had no choice” inscription is very true and worth remembering. I think these animals are probably braver than I would be, and part of me gets annoyed that we drag them into our world of hate. They know only unconditional love! Thank you for remembering our animal friends Kristine. So often people forget about the role they play in helping us.